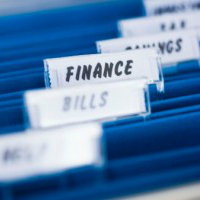 Home / Budgeting / Are You Paying Enough Attention to Your Finances? At times, it’s all too easy let financial matters slip through the cracks. However, you need to make sure that you are on top of your finances in order to make the most of your money – you know that! This is a problem that comes if you don’t track your spending. Humans are bad at estimating how much they have spent, and how much they have left in their accounts. This is especially true if you use a plastic card (debit or credit) to pay. If you want to stay on top of your finances, you need to know where your money is going. Make a plan for your spending, and then track where the money goes. You don’t have to make a draconian spending plan where you plan out where every penny goes, but you should keep track of your spending, and know where you stand in terms of your account. That way, you are less likely to overdraw your account and end up paying hefty fees. One of the most important things you can do for your investing portfolio is to make sure that you have the right asset allocation. Over time, many portfolios tend to experience drift. If you are invested in funds, sometimes the natural turnover in the funds means that the asset allocation changes a little bit. If you have your portfolio funded by automatic investments, it’s possible that sometimes you might end up with more of one type of investment. Whatever the reason, it’s a good idea to check your portfolio once to three times a year to make sure that your asset allocation is what it should be. If your asset allocation has drifted, you can rebalance your portfolio. Don’t ignore your portfolio and end up with an unsuitable asset allocation. Over time, it’s easy to let something slide, and to end up with money leaks. You might have a subscription to a magazine that you never read, or you might be paying a higher price for certain services. Perhaps you aren’t shopping around. These money leaks can add up over time. Every few months, really look at your expenditures and identify money leaks to plug. This step includes shopping around for better prices on existing services. Double-check your insurance rates. Many people don’t realize that a little shopping around could save them between $20 and $100 a month on insurance. Additionally, it doesn’t hurt to shop around for a better-priced cable package (or cut the cable and switch to Hulu and/or Netflix). Take a look at where your money is being wasted and plug those leaks. While you don’t need to obsess over every single dollar, you should pay attention to your finances. Look for inefficiencies in your personal economy, and then find ways optimize them. Know where your money is coming from, and where it is going. Over time, many of us start to become a little bit lax with our finances. Set aside a specific time every quarter to review your finances and make sure that you are getting the best possible results for your situation. So, are you paying enough attention to your finances? What are some other reasons you might want to? Leave a comment! This article was originally published January 14, 2013. 4 Responses to Are You Paying Enough Attention to Your Finances? Some people may not pay attention because they are afraid of what they find or they feel their situation is hopeless. Many of my clients fall into the “hopeless” category.